The future of a dependable community and nation lies in the knowledge and well-equipped youth for God’s work. The merits of teaching young people the word of God cannot be overemphasized in the world today considering the challenges that the church is facing through secularization and perversion of the Word of God. The youths in the community require support from the church and other faith based organizations as well as follow up on the different programs that they are undertaking in order to ensure that the church enforces its teachings to them and that they are still available for service in the community as well as in the nation at large. Blantyre Synod introduced CCAPSO as a way of preserving the church’s doctrines to all the students in secondary, primary schools and colleges in all public, mission and private sector. CCAPSO is an organization, which is Biblically based, reformed and evangelical. The new Blantyre Synod Director for Church and Society, Rev M. Jumbe, is interviewed on his new role. Please follow the link to read. CCAP Blantyre Synod have held their biennial meeting at the Multi-Purpose Hall of St Michael's church on the historic Blantyre Mission. Rev Alex Maulana was re-elected as the General Secretary at the 2015 biennial gathering. Rev Rabson Chikwezulo remains as the Synod Moderator and Rev. Edna Navaya continues as the Synod Vice-Moderator. There are employment vacancies within the Blantyre Synod Education Department. Please click on the link here to read more. Read a September 2014 interview with Rev Kanyochole, Blantyre Synod Hospital Chaplain. Synod Transfers - open this file to view the recent transfers of ministers within Blantyre Synod. Blantyre Synod covers the whole of the Southern region of Malawi. It has over 1.2 million members. Most of its members live in rural areas. There are only 185 ordained ministers serving over 600 churches and 700 prayer houses. 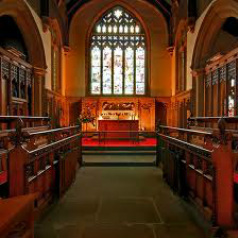 Every Sunday 450 congregations do not have a minister. To reach its members Blantyre Synod believes that the radio is key. Almost all households in Malawi have access to the radio. Watch this interview with the former Deputy General Secretary Rev Nyekanyeka to find out more. Broadcasting from the historic Blantyre Mission the radio station will have two studios, one for live broadcasts and the other for recording. Find services at other CCAP Churches here. We have numerous Chichewa and English services throughout the Southern Region of Malawi. Styles of worship range from traditional to contemporary and more. Find out where, when and in which language on our Sunday Services page. WATCH THE TRAILER FOR THE RECENT EVENT 'CELEBRATING THE POWER OF MUSIC IN THE CCAP SYNOD OF BLANTYRE' that took place on the 20th OCTOBER 2012. The CDs for the celebration can be bought from the Synod's Offices at the cost of MKW800 each or MKW1,600 for the series (2 CDs). The CCAP is the Church of Central Africa Presbyterian, part of the world-wide church. Blantyre Synod is the component part of the CCAP for the southern region of Malawi. Our mission is as follows: – the proclamation of the gospel for the salvation of mankind; the shelter, nurture and spiritual fellowship of the of the children of God; the promotion of divine worship; the preservation of the truth; the promotion of social righteousness and well-being of mankind. Different departments and institutions have been set with specific mandates to pursue programmes to achieve the objectives in order to fulfil the mission of the Synod. We have the new information on the Transport and CCAPSO. Blantyre Synod of the Church of Central Africa Presbyterian (CCAP) has elected Reverend Masauko Mbolembole as the synod moderator. Rev. Miriam Chipeta Banda was newly elected as vice moderator. Rev. Moyenda Kanjerwa was reelected as deputy general secretary. Are you a Christian with recording studio skills or experience? Would you like to be involved in music video and audio editing with our Music Department? Can you help teach others? Would you like to volunteer short or medium term in Malawi? If so find out more and get in touch by clicking here. A fantastic opportunity to experience Africa! Position available on a short or medium term basis. Mike and Peter Veerman are running a website training workshop at the multi-purpose hall on 5th and 6th August 2014 for Blantyre Synod. At the biennial meeting of Blantyre Synod a new Management Team has been elected. General Secretary Rev A Maulana continues in post joined by Rev Kanjerwa, Rev Chinkwezule and Rev Navaya. For more information see here. Funds were raised at the funeral of Rev Howard Taylor this year for the distribution of bibles to prisoners in Malawi. 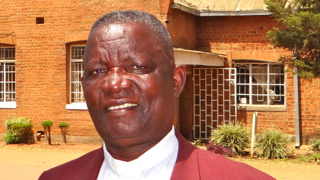 Rev Howard Taylor was ordained and inducted by Blantyre Synod in Zomba Presbytery in 1971. Sent to Malawi by the Church of Scotland he requested a congregation where no one could speak English in order to force himself to learn Chichewa. This congregation was Masalema in Zomba Presbytery. The plan succeeded. After a long illness Rev Howard G Taylor's funeral at St David's Knightswood Church in Glasgow raised funds, from those celebrating his life, for bibles in Malawian prisons . The distribution of bibles will be done under the Blantyre Synod Prison Ministry Department with the Prison Chaplain Rev Stanley Chimesya assisted by Mr Douglas Taylor, son of Rev Howard G Taylor. 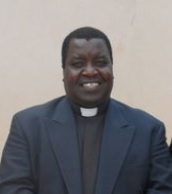 We have just published an interview with the Blantyre Synod Music Director Rev Mbeza. There is a lot of varied and interesting content here including exciting plans for the future and opportunities for getting involved. 180 bibles and 150 hymn books distributed around the prisons. On the 28th June 2012 the Blantyre Synod Prison Chaplain and the CCAP 'Friends of Prison' completed a distribution of bibles and hymn books in six prisons. Read More on the Prison Chaplaincy page.